Enter a beautiful and perilous land of shapeshifters and samurai, kami and legends, humans and demons...a world in which Japanese mythology and imagination blend together to create a brand-new and lushly drawn fantasy adventure. 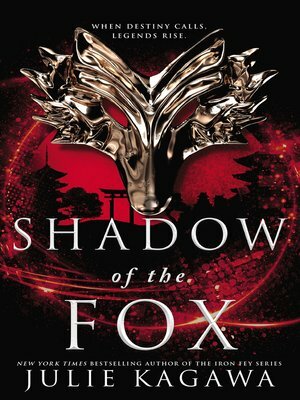 Prepare to be captivated by the first book of an enchanting new young adult fantasy series, Shadow of the Fox! Demons have burned to the ground the temple Yumeko was raised in, killing everyone within, including the master who trained her to both use and hide her kitsune shapeshifting powers. Yumeko escapes with the temple's greatest treasure — one part of the ancient scroll. Fate thrusts her into the path of a mysterious samurai, Kage Tatsumi of the Shadow Clan. Yumeko knows he seeks what she has...and is under orders to kill anything and anyone who stands between him and the scroll.